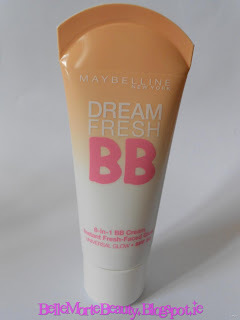 Today I'm going to be reviewing another BB Cream on the market - this time it's a Western BB Cream made by Maybelline. 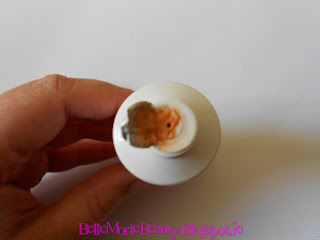 The product itself comes in a squeezeable tube which makes it very easy to dispense. The packaging looks smart, fresh and clean. I like the simplicity of it. 6. Oil free - non greasy. At first glance I got a bit of a shock when I saw the shade itself - it looked very orange and I had my doubts about this being a "universal" shade if first impressions were anything to go by. 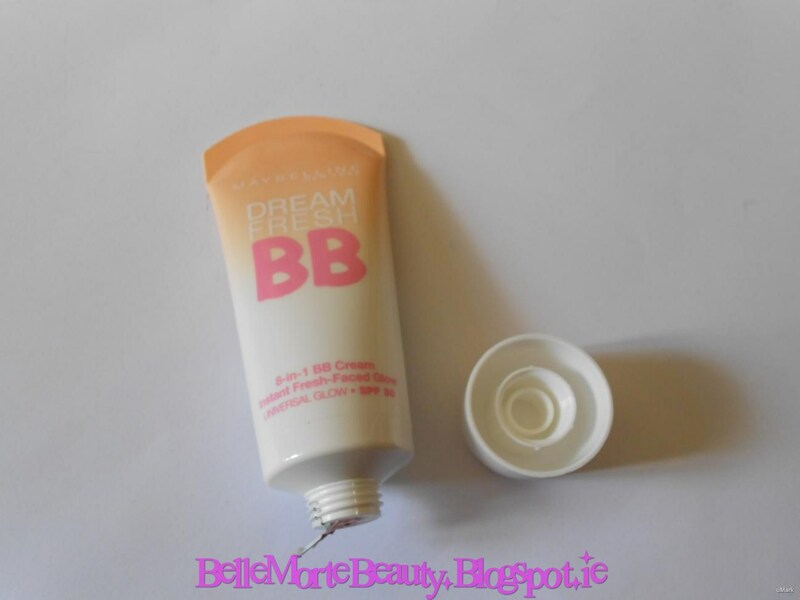 The cream itself is very light and non-greasy. 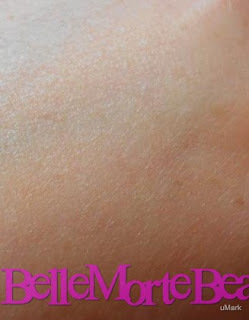 It's also quite sheer which gives a lovely natural glowy look, and it subtly adds some well needed colour to my pale skin. 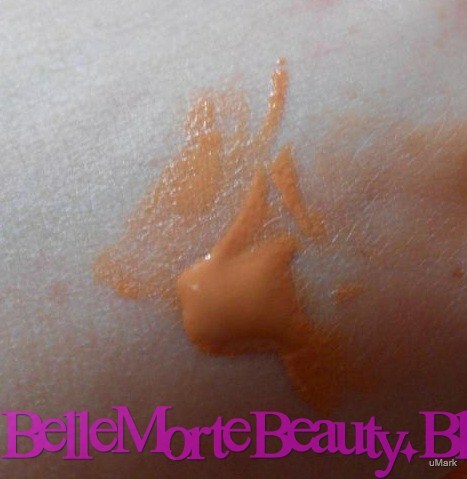 It does look quite orange at first, but as you blend it, it tones in well. The ease of blending is apparently thanks to its formula which combines gel with water for extra glide. Unfortunately, due to my casper-alike tones this is not a product I will be reaching for everyday. Though it does a good job of blending in, I'm still paranoid that I'm left with an orange hue. 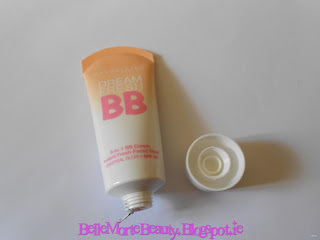 I do think that this would be a great product to bring on holidays when I've caught a bit of sun in that it will enhance any holiday sun and create a nice dewy finish. 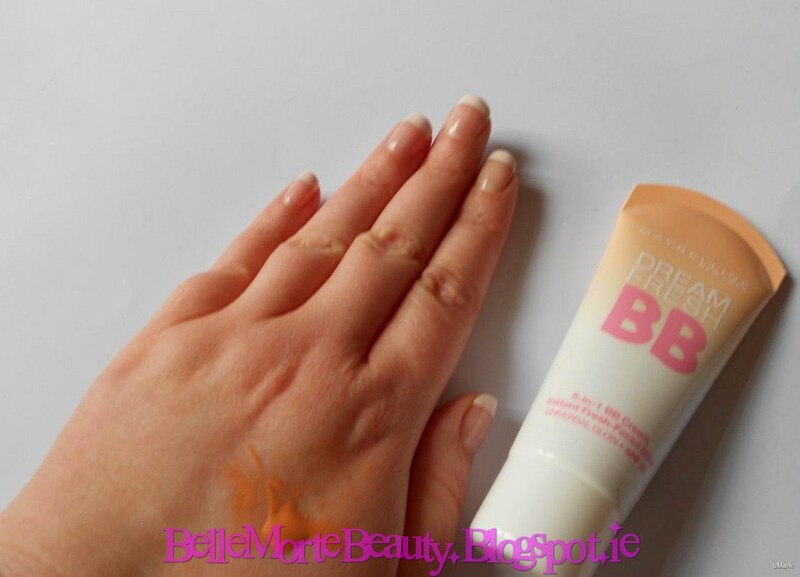 I love the fact that it has an SPF of 30 included - so again, I'm thinking this will be perfect for holidays abroad! I found coverage to be on the light side, so don't expect a full on face with lots of coverage if you're thinking of trying this. I would say it enhances what you have as opposed to hiding what you have. 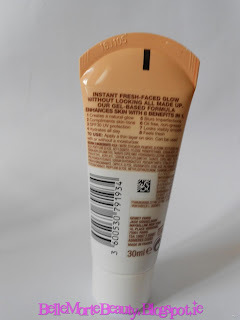 This would be great for those with younger skins who don't want anything heavy on their skin, it's nice and light and is good for everyday wear with sheer coverage. This is widely available throughout most pharmacies nationwide for around €11.99. I got mine however from TreatYourSkin.com which have it for just £6.60. You can also use code "TYSBELLA" to get 10% off your order there.